There are few more jaw dropping cars than the Aston Martin DBS. It has the performance and handling to back up those looks too. The Aston Martin DBS is, on first inspection, a warmed-up DB9. That’s no bad thing, because the DB9 is one of the world’s best-looking and most desirable cars. But the DBS is far more than a DB9 in a sharp new suit. The boot lid, door surrounds, front wings and vented bonnet are all crafted from weight-saving carbon fibre, saving around 39kg. The wheels are gorgeous 20-inch lightweight, multi-spoke alloys fitted with ultra-low profile tyres. This all gives it a sinister and appealing drama compared with the DB9. Open the ‘swan-wing’ doors and they rise slightly to avoid expensive kerb damage. Drop into the supportive driver’s seat and insert the polished glass and steel ‘Emotion Control Unit’ key into the slot in the centre of the dash and the engine howls into life. Starting a DBS discreetly is virtually impossible as an automatic burst throttle announces it is about to move. The cabin is snug but beautifully assembled and offers possibly the most elegant instrumentation in any car. Only the graphically-poor Volvo-derived sat-nav is a letdown. Despite being a long car, the DBS is built for performance, not practicality. The boot measures 186 litres – about the same as you get in a MINI. It’s more accommodating for soft luggage than rigid boxes and suitcases, as there are nooks and crannies you can squeeze bags into – including the space where the rear seats were. Those are deleted in the DBS in pursuit of weight-saving. It has an exceptionally strong chassis, which is shared with the road-going DB9 and its race car derivatives, so chassis flex is minimal. This means softer suspension can be fitted, so while handling is first rate, so is the ride comfort. Naturally the DBS features an adaptive damping system, which allows the driver to firm the suspension at the touch of a button. However on our short test drive, we found the softer of its settings was a perfect compromise between ride comfort and handling. The steering is racecar direct, allowing the most hamfisted of drivers to make the most Aston’s ability to build a car with perfect balance. At the heart of the DBS sits a 6-litre V12 engine; a motor also found in the DB9 and DBRS9 race cars, which is tuned to deliver a colossal 510bhp with 420lb/ft of pulling power. That adds up to a 4.3 second 0-62mph time and a top speed of 191mph. Unsurprisingly, the DBS is capable of eating up straights at an other-worldly pace, but it’s in the bends when the car really comes into its own. None of this comes cheap. The DBS is £170,000 – around £50,000 more than a DB9, and there are plenty of costly options to choose from too. Insurance, road tax – it emits 388g/km of CO2 – and an average of 16.4mpg add to the expense. But this doesn’t matter for those sufficiently well-heeled to park this Aston on their driveway. The DB9 which the DBS is based on hasn’t got the best reputation for reliability, but it’s certainly improved since it was introduced. The problems typically centre around the tyre-pressure monitoring system and warning messages on the dashboard, while build quality on early cars wasn’t as good as it could be. It’s never going to be as reliable as a mainstream car, but it has improved markedly in recent years. As you’d expect, the DBS comes with a wide range of standard equipment, including a Bang & Olufsen 1,000-watt audio system, with speakers that dramatically rise out of the dashboard, developed specifically for the DBS.Other standard kit includes leather and alcantara upholstery, electric seats with memory function, climate control, cruise control, sat-nav, Bluetooth, USB and iPod connectivity; folding door mirrors and a conditioner to keep the battery healthy if the car is stored for long periods. The DBS is a worthy model to crown Aston Martin’s incredible range of sports and supercars. 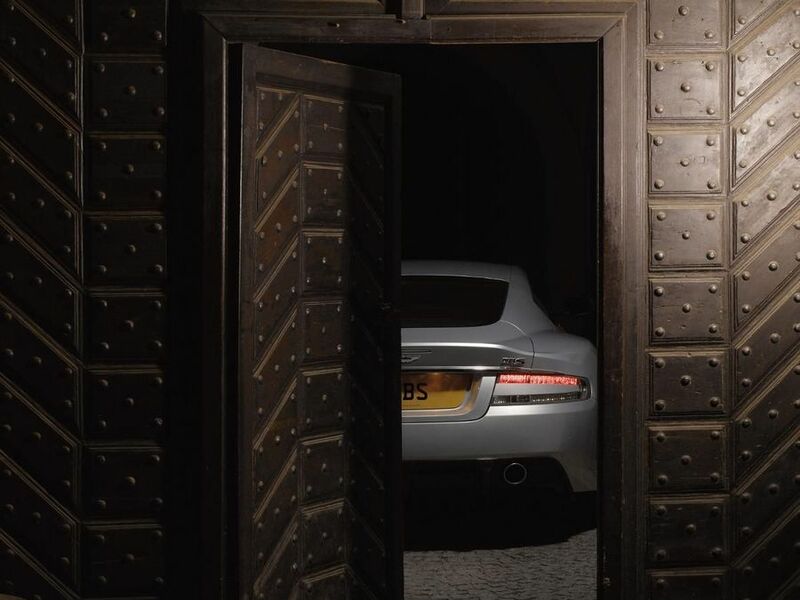 It’s an elegant, bona fide supercar and so much more than a flash DB9.